SKODA FABIA OCTAVIA. VW GOLF MK5 POLO. AUDI A2 A3. 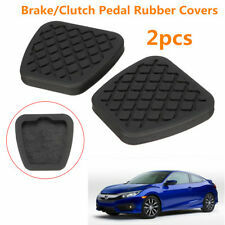 BRAKE CLUTCH PEDAL RUBBER PAD. No fitting instructions are provided with the product. Audi A2 Petrol Accelerator Pedal. Donor Car: 2002 Audi A2 1400cc. The New and Used Audi Parts Specialist for all Audi models worldwide. Audi Part Number: 8Z2 721 523 B. It may fit others. Audi A2 Petrol Accelerator Pedal. Donor Car: 2002 Audi A2 1400cc. The New and Used Audi Parts Specialist for all Audi models worldwide. Audi Part Number: 8Z2 721 523 E. It may fit others. 2003 AUDI A2 1.4 TDI SE 5DR. ACCELERATOR THROTTLE PEDAL. 2001 AUDI A2 1.4 TDI SE 5DR. THROTTLE ACCELERATOR PEDAL. P/N 8Z2721523B. AUDI A2 2000-2005 1.4 PETROL ACCELERATOR THROTTLE PEDAL GENUINE. REMOVED FROM 2001 AUDI A2 (8Z0) 1.4 75 HP (55KW) PETROL. THIS DOES NOT INCLUDE NI, ROI, HIGHLANDS OR OFFSHORE ISLANDS. Donor Car: 2002 Audi A2 1400cc. The New and Used Audi Parts Specialist for all Audi models worldwide. Audi Part Number: Unknown. It may fit others. Audi A2 Soul Black Drivers Footrest. Donor Car: 2002 Audi A2 1600cc Sport. The New and Used Audi Parts Specialist for all Audi models worldwide. Audi Part Number: 8Z2 864 777 B. It may fit others. Audi A2 Diesel Accelerator Pedal. Donor Car: 2004 Audi A2 1400cc. The New and Used Audi Parts Specialist for all Audi models worldwide. Audi Part Number: 8Z2 721 523 D. It may fit others. A2 2000 -2005 Mk 1 (8Z). Who Are We?. 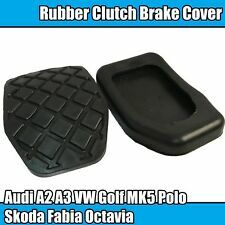 Audi A2 Clutch Pedal. Donor Car: 2001 Audi A2 1400cc. The New and Used Audi Parts Specialist for all Audi models worldwide. Audi Part Number: 8Z2 721 315. It may fit others. Audi A2 Platinum Drivers Footrest. Donor Car: 2002 Audi A2 1600cc Sport. The New and Used Audi Parts Specialist for all Audi models worldwide. Audi Part Number: 8Z2 864 777 C. It may fit others. PART(S) FOR SALE- AUDI A2 SE PEDAL BOX. FOR YEARS: 2000, 2001, 2002, 2003, 2004, 2005 (2003). YEAR- 2000-2005. Audi A2 Diesel Accelerator Pedal. Donor Car: 2001 Audi A2 1400cc. The New and Used Audi Parts Specialist for all Audi models worldwide. Audi Part Number: 8Z2 721 523 C. It may fit others. (Taken From: 2001 AUDI A2 1.4 PETROL AUA, SILVER LY7W, 5 SPEED FCU, BREAKING). DISPATCH PARCELS. YOU WILL FIND MORE INFORMATION ABOVE. All parts are used, fully tested and are in fully working order, unless stated in the title. AUDI A2 1.4 PETROL 2001 MODEL 5 DOOR. (BRAKE AND CLUTCH). O.G.B (BAY 6). PICTURE OF THE CAR IS FOR ILLUSTRATION ONLY. AJ SPARES is a large independent Vehicle Dismantlers. 5 SPEED MANUAL. PART NUMBER - N/A. Part Numbers: 8Z2721523B. Make: AUDI Model: A2 SE. DIAGNOSIS: It is most important that you have your fault diagnosed correctly as incorrectly ordered goods are subject to Policy below. WARRANTY: All used parts are fully tested and working before removal from the donor vehicle. Audi A2 8Z Clutch Master Cylinder. The New and Used Audi Parts Specialist for all Audi models worldwide. Audi Part Number: 8Z1 721 388 A. It may fit others. Donor Car Colour: Bodywork is Grey LR7T. Audi A2 8Z Clutch Master Cylinder. Donor Car: 2003 AudI A2 1600cc. The New and Used Audi Parts Specialist for all Audi models worldwide. Audi Part Number: 8Z1 721 388. It may fit others. Audi Breakers. FOR YEARS: 2000, 2001, 2002, 2003, 2004, 2005 (2000). All A/C Compressors must have the A/C system flushed to remove any contaminants and the proper oils and Freon to be used. Also, the A/C system needs a new filter, dryer and orifice tube when installed. Donor Car: 2002 Audi A2 1600cc Sport. The New and Used Audi Parts Specialist for all Audi models worldwide. It may fit others. Audi Part Number: 8Z2 419 732. Donor Car Colour: Bodywork is Silver LY7W. Manufacturer: Hans Pries Topran - Germany. Made by HANS PRIES TOPRAN - Germany. 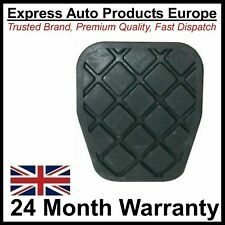 AUDI A2 / A3 - BRAKE PEDAL RUBBER PAD. Audi A2 2000 - 2005. Audi A3 1996 - 2003. 24 Hour Dispatch Service. Manufacturer Ref. 6PV008026-17 / 8Z2721523E. THROTTLE PEDAL. Our Products. All the vehicles & the parts are tested prior to removal. Here is a little information to keep in mind. 2001 AUDI A2 1.4 16v. prior to dispatch. PART NUMBER 8Z2721523B. 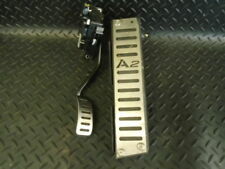 AUDI A2 2001 1.4 16V ACCELERATOR THROTTLE PEDAL. FOR RIGHT HAND DRIVE VEHICLES. HIGHLANDS, AN OFFSHORE ISLAND OR. IF YOU ARE LOCATED IN THE. WE WOULD LIKE TO SORT OUT ANY PROBLEMS QUICKLY. Audi A2 Diesel Accelerator pedal. Audi A2 2000-2005. Fits most 1.2 and 1.4 diesel manual models of. Cylinder head / manifold porting. General and MOT repairs. (Taken from : 2001 AUDI A2 1.4 PETROL AUA, SILVER LY7W, 5 SPEED FCU, 5DOOR). YOU WILL FIND MORE INFORMATION ABOVE. Condition: fully functional. You get marked goods. Traces are no grounds for complaint. Signs of wear such as light scratches may be present and are no cause for complaint. Used parts. Part Number : 8Z2721523B. Audi A2 1.4 Petrol. ACCELERATOR THROTTLE GAS PEDAL. Part is taken out from Audi A2 Reg 02. confirm yourself that the item is what you require. unless clearly described as spares/repairs. 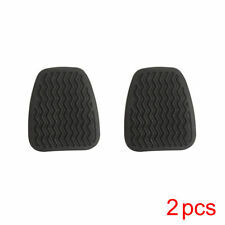 Replaces ORIGINAL VW AUDI SEAT SKODA PART number. Always check the photo and part numbers match the product you are replacing. PART NUMBER: 8Z2721523B. GENUINE 1999 - 2005 AUDI A2 ACCELERATOR THROTTLE PEDAL. We are much cheaper than the MAIN DEALERS. A1 GERMAN BREAKERS. Complete Running gear. Air Bag Complete Set. Complete Front end panels. Polo 2010 - 2017 . This is a brake pedal for the following cars This is a new,genuine VW part. cars with manual gearboxes only. Part number. Alternative part numbers.